I have started my season of attending artist markets. I began my 1st day showcasing thick tweed jackets on a very hot 36°C day! I was amazed I got people to even stop and look! It was a rather long day in the heat, but the winds of change are coming and the air is promising Autumn over here in Australia. Everyone will be clamouring to get their winter jackets from the back of their wardrobes soon! 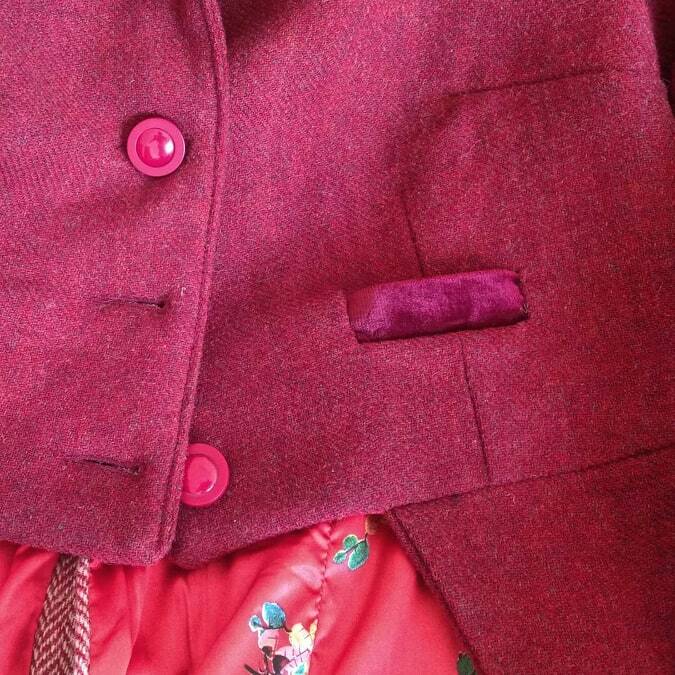 So tweed jackets will take their place and be worn once again with the changing season. So far I am meeting lots of new friendly people, there is a lovely welcoming culture at the artist markets. Showcasing your own work can seem daunting, no matter how many times you do it - but you must! I find myself feeling this way, but it’s that or go back to working in an office? There’s nothing wrong with working in an office, but not for me. This is the path for me. I still need to pinch myself that I’m in Australia doing what I love! If any of you follow me on social media, you might have noticed that my work was on the front cover of Scottish Banner’s March edition. I am so thrilled! I had a full 2 page spread and cover. It was very funny the first time I walked into a newsagents over here in Melbourne and bought all their copies! Telling the cashier my designs were on the front cover! It’s so strange to see my work out there in a whole new environment, but a great adventure - I’m loving every minute of it! I attended a recent Highland Gathering, and what a fantastic experience. I was quite amazed by the interest in my work. I met such lovely and generous people, my heart felt so full. Watching pipe bands, highland dancers and wandering the many stalls that offered scottish food, books, and clothing - even better than events we hold in Scotland! and unlike the events we have back home, it was sunny - no boggy fields or midges. So all in all my introduction to Australia has been fun and I feel very welcome. Tweed is greatly admired over here, but A LOT of people DON'T know tweed - so I’m happy to share it’s story.